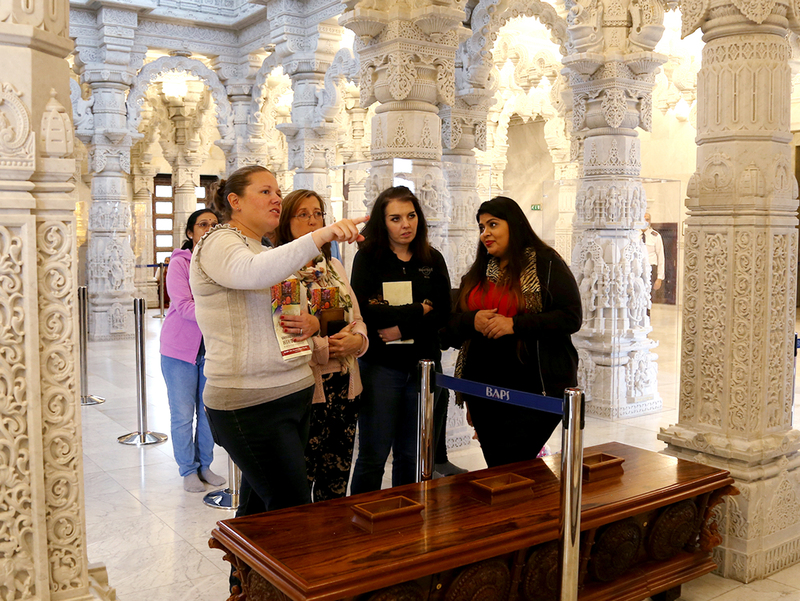 More than 1,300 people visited BAPS Shri Swaminarayan Mandir, London, on the weekend of 22-23 September 2018 as part of the Mandir’s participation in this year’s ‘Open House London’ initiative – an annual architectural festival celebrating London’s buildings and design. 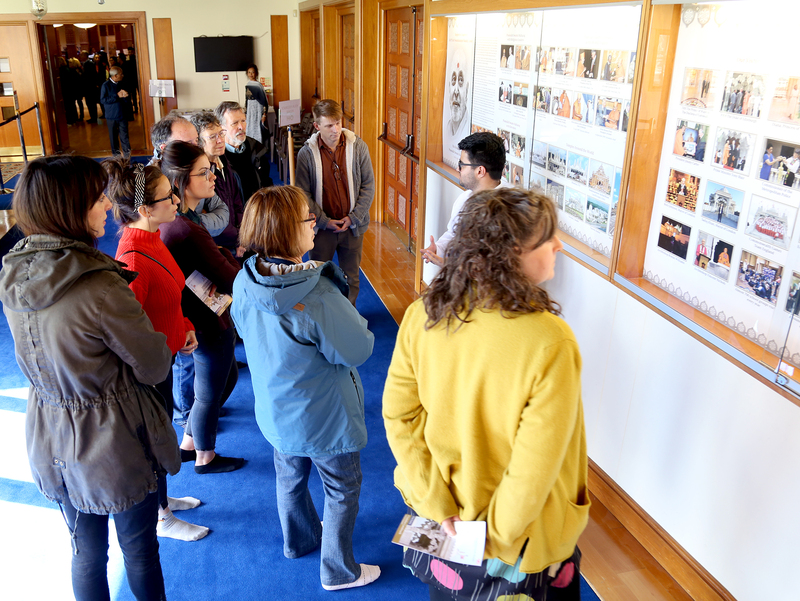 The Open House programme began 25 years ago with the first event in 1992, with the aim to offer free access to London’s best buildings and inspiring the public about the benefits of great design. 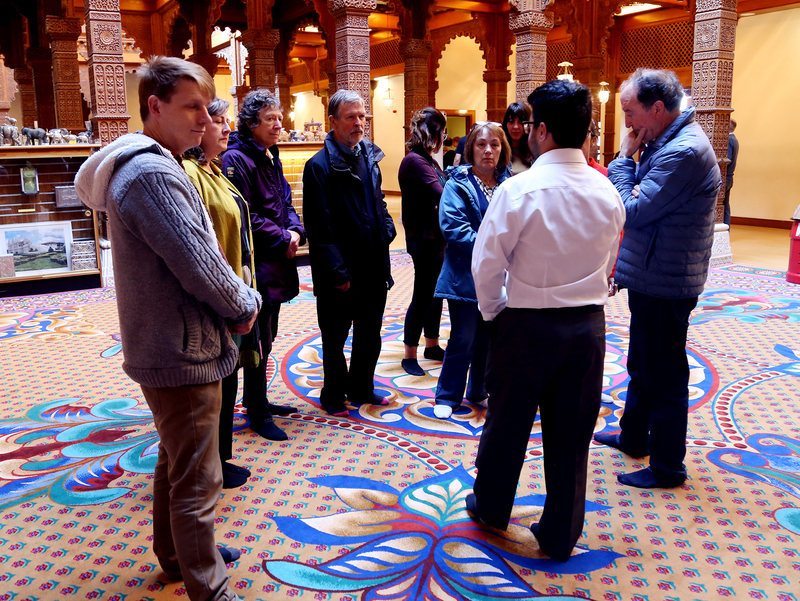 Open House is organised by Open-City, with more than 35 cities across the world now embracing its concept. 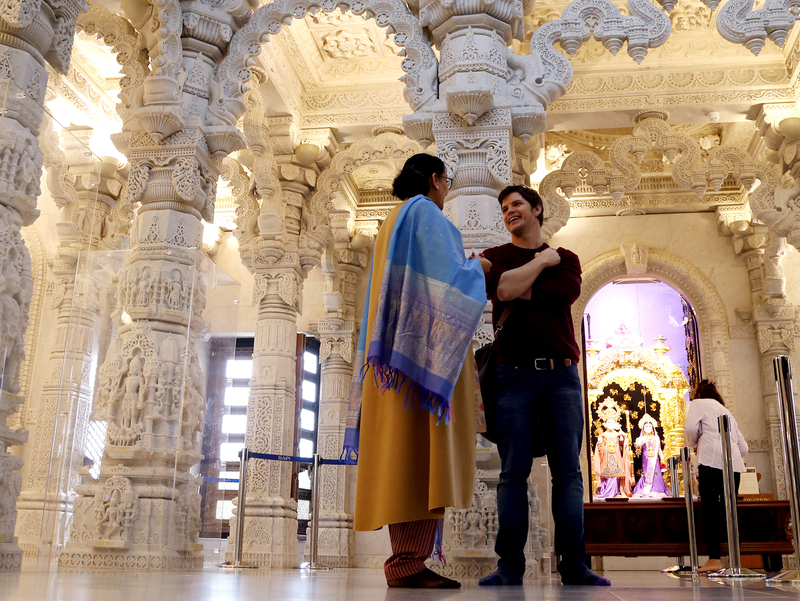 The Mandir – one of London’s iconic religious buildings – joined over 800 buildings, walks, talks and tours in London across the two days. 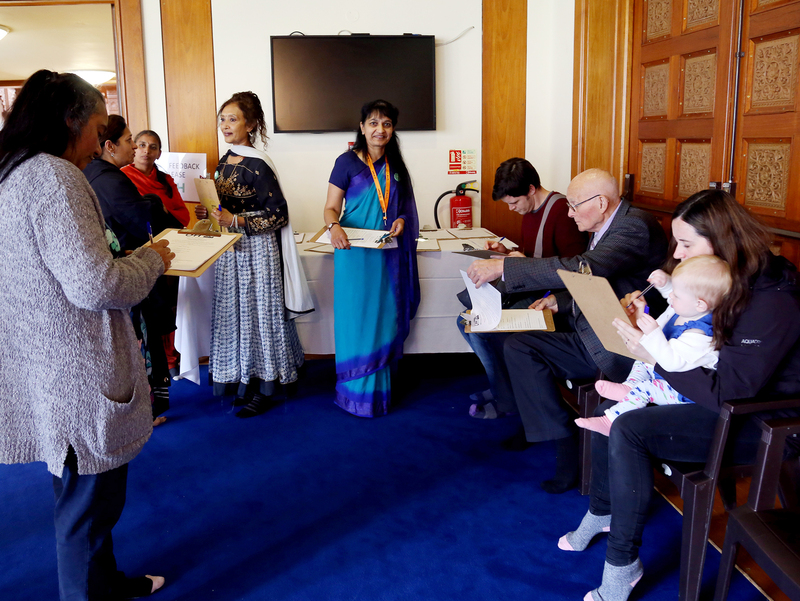 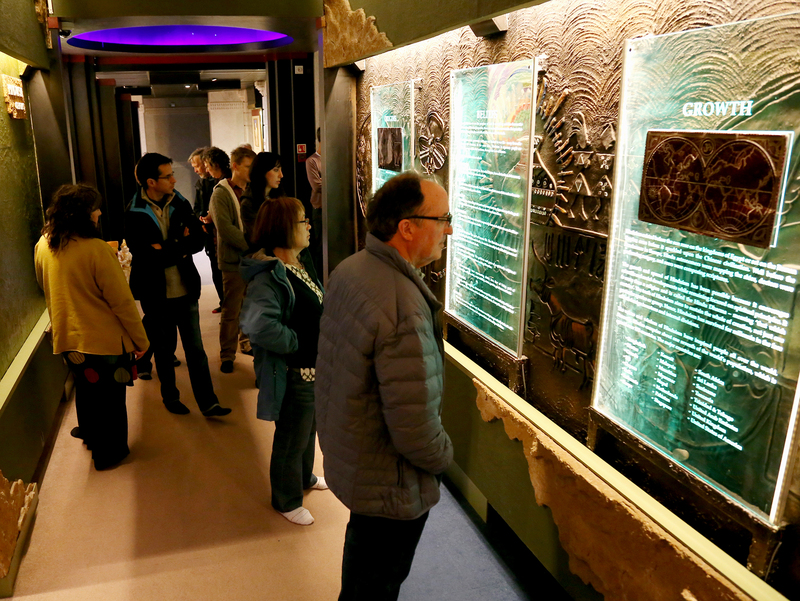 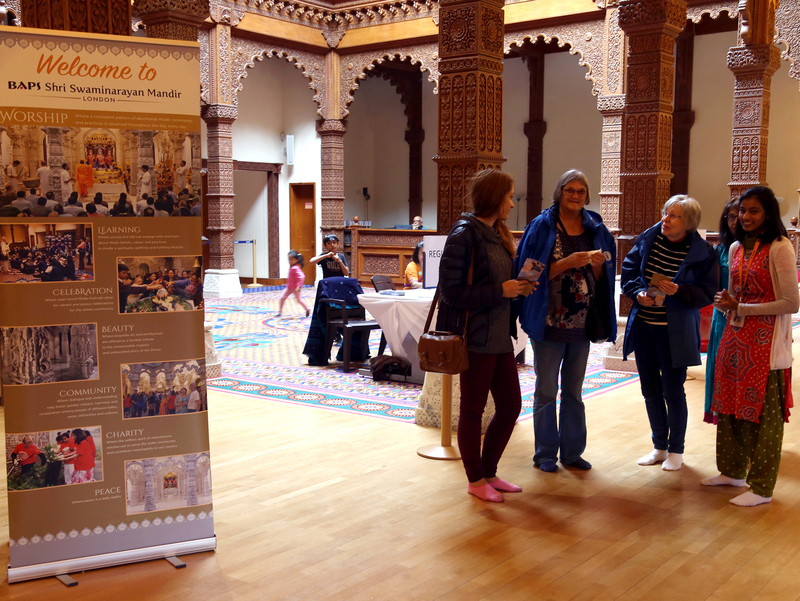 The visitor experience included a personalised welcome by young children who explained the history and religious significance of the Mandir and its distinguishing features. 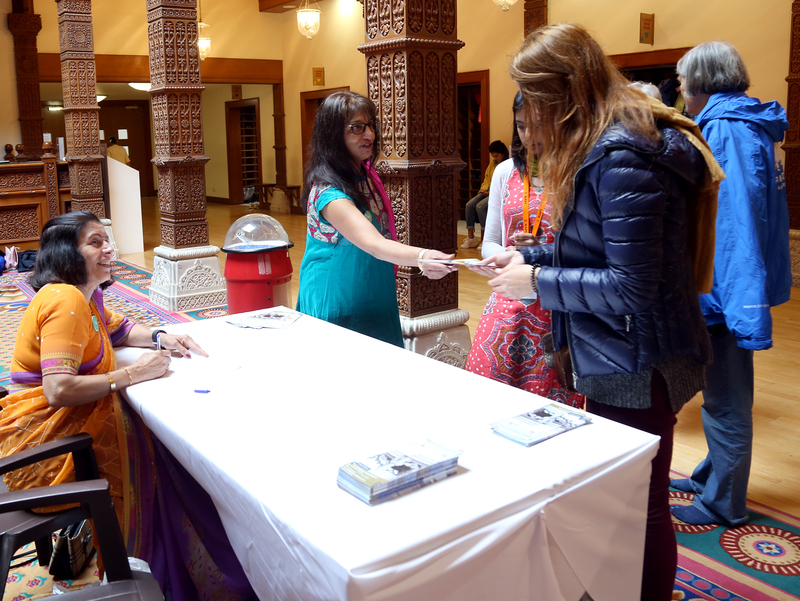 A further in-depth tour was also provided, while there were plenty of opportunities to join worshippers for one of the arti ceremonies during the day. 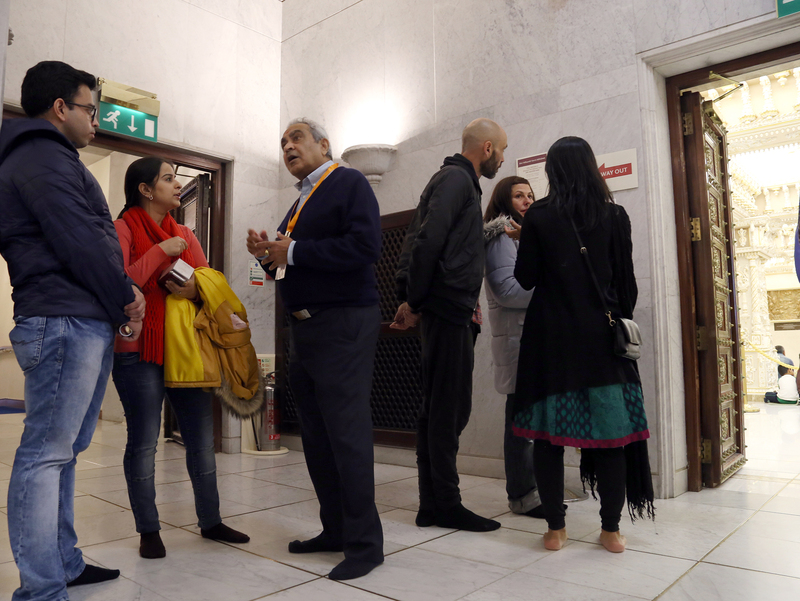 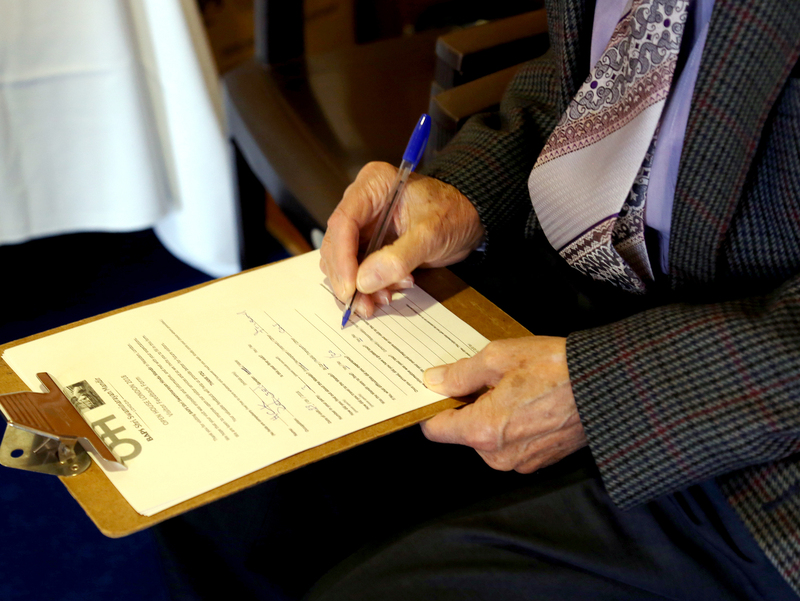 To learn more about Open House London and Open-City, please click the respective links.